If you're looking for effective ways to beat procrastination and finish your tasks timely, these 8 tips are for you. Firstly and most importantly – don’t try to fool yourself. There’s a little chance that exam preparation with your friends will get you anywhere. Surely, it’s more fun, but your focus will be sparse and fluctuating as you’ll interact with others. Also, your mate's progress might put you off as opposed to motivating you. Revising in a team is a good idea when everyone has already memorised materials – after that you can check each other’s knowledge. Close all those social media tabs, put your phone on airplane mode (what can possibly happen if you miss a snap of your BF’s vegan lunch?) and try to study in a clean, uncluttered space. A mess around you = a mess in your head. Each student has their own learning style. Some people like to draw mind maps and use bright stickers, others prefer listening to audio/video and writing long paragraphs by hand. Don’t follow what others claim to be effective – use trial and error methods to find out which technique works best for you. For example, if you have a photographic memory that captures everything with vision, it would make sense for you to read more and pinpoint the most important bits with your stationery (little stickers, markers). If you’re an auditory type of learner, record the lectures beforehand and listen to them over and over until you memorise the material. Reading out loud is also effective. Working without specific time limits (“I need to write 10 000 words by the next month”) can be highly unproductive as you won’t be able to track your progress and will likely panic if you feel like you’re far behind. For maximum efficiency, separate your work into equal chunks and reward yourself after every small win, for example by watching an episode of a favourite TV show. Don’t bite more than you can swallow, rather approach your work realistically. Also, don’t give yourself too much time as the less time you’ll have, the more focused you will be. Most of us hate waking up early but society and school have tricked us into thinking that this is the only way you can be effective. Well, what if you start working at noon and finish later, let’s say at 9 PM instead of being sleepy for the whole day and feeling exhausted by lunch? Listen to your body clock and notice when you yawn less. Don’t torture yourself with Red Bulls and espressos, it’s better to sleep for a couple more hours and stay alert for longer later that day. Every time you feel anxious and de-motivated, try to be realistic and consider several scenarios of what will happen if you succeed/fail in this particular task. Will it be the end of the world for you if you don’t pass this extremely complicated statistics test? Surely it doesn’t mean that you should not care, but don’t stress too much about the grades – ask any graduate what happened after they failed an exam and you’ll probably hear…: "nothing really". Alright, this tip is as old as time – avoiding sugary drinks and junk food can significantly boost your performance as your blood sugar levels won’t jump like crazy. Go for fish, nuts, whole grains and berries. And no, that flapjack from a library vending machine isn’t the best option – it has more sugar than a Snickers bar! Sport is also a good idea, as your body will be thankful for any movement after long hours sitting by the desk. Studies have shown that exercise positively influences cognitive performance. Surely ‘ain’t nobody got time for this’, but you still can squeeze a 30 min high-intensity interval workout into a schedule, right? This recommendation will be especially relevant for exam preparation and assignments – that’s when it will be helpful to find former students from your course. Instead of going through every bit of information available, ask people who’ve already had that assignment to share their tips or send you their notes, or even work (don’t copy it, use it wisely to save your time). Also, don’t neglect your lecturer’s office hours and ask them as many questions as possible while you have this option, as many lecturers refuse to answer exam-related questions as the date approaches. Lastly, no external motivation, like this post or inspirational quotes, will make you more motivated than seeing progress. Human beings are usually capable of much more than they can imagine. So instead of finding excuses to avoid studying or leaving work till the last minute, visualize a bigger picture. List 3 positive consequences of achieving your goal and always keep them in mind. Note that these outcomes should be serious enough to give you an extra kick. The hardest part is to start, as you'll be waiting for the perfect moment and aligned stars. ...But once you start, you won't stop (as Newton taught us!). So stop overthinking and preparing for work, actually DO THE WORK. 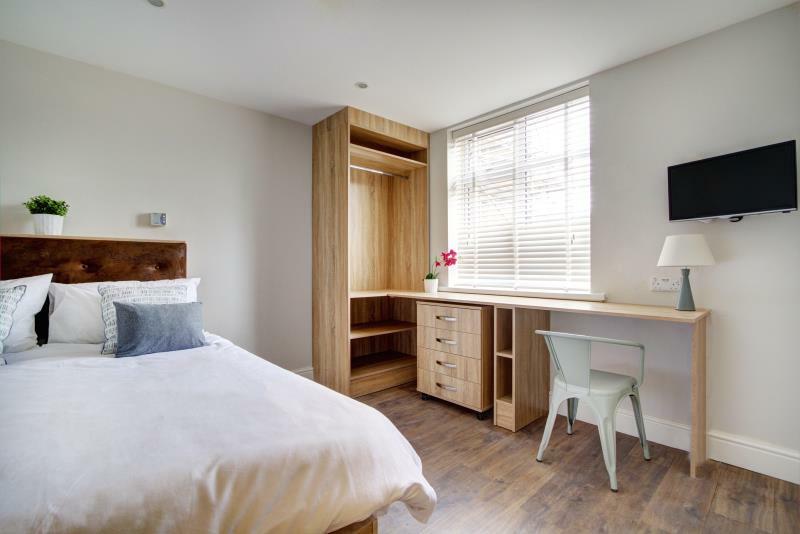 Check out our stunning student houses and make an enquiry before they're swept up!